When I was eleven years old my father took me to the sporting store to purchase a fishing rod. He asked me to pick out the one I wanted. I pointed and he said, you want that one with the big thick line? Wouldn't it have been a good thing if the one I picked out had all the benefits of my knowledge and understanding of what an eleven year old would get the most benefit in casting, playing a fish and assuring complete confidence. 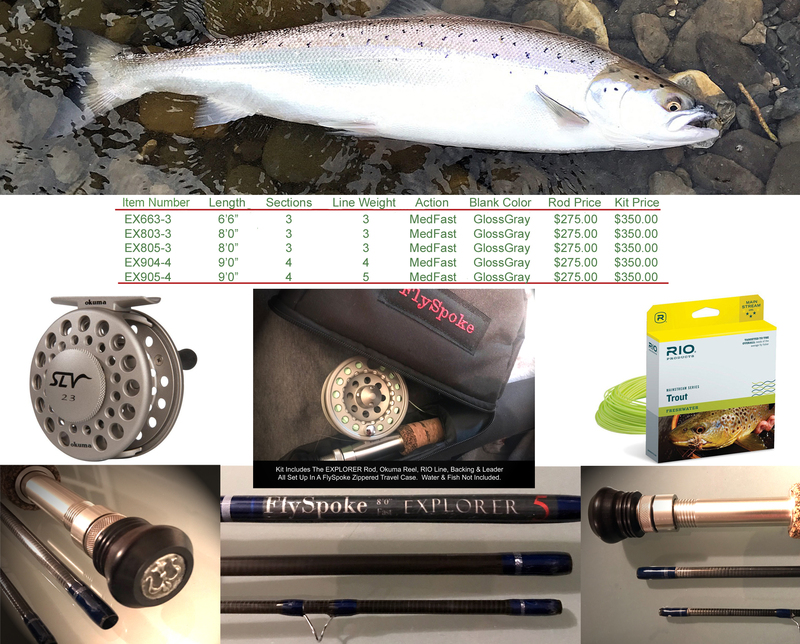 EXPLORER offers a fly rod kit of sufficient quality in a price point that makes perfect sense. This fly rod is made from the same high modulus carbon used in the most expensive rods your money can buy. You will love casting one.